Social networking sites are a great marketing tool, with mass communication medium that some users often abused. Like the case of Facebook, the numbers of new accounts that can be created are not limited, so many spammers uses this medium for their own selfish interest to have access to other real users. According to a recent estimate by Facebook, there are over 85 million fake accounts on the network. They try to add others as friend, so that they could probably spam others or perform phishing scams. These types of people with fake identity are not good, and I’m very sure you will not like to be a friend to one of them. Identifying legitimate friends on Facebook is a lot easier with FB Checker. FB Checker verifies if people that you meet on Facebook are real or if they have fake pictures and accounts. People create false accounts in order to advertise or simply get attention. These accounts contain photos of attractive people in order to lure you to friend them, talk to them and give them your full attention. Avoid being disappointed by checking a person.s profile for authenticity before investing time or even before adding them as friends. 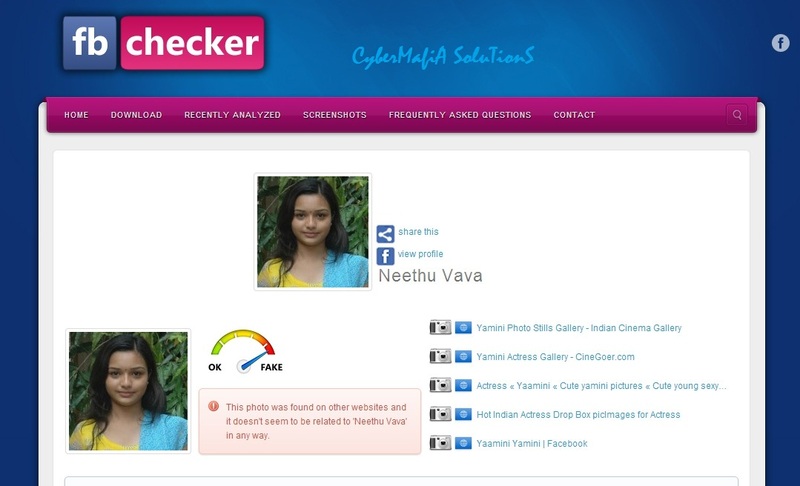 FB Checker can tell you if a person’s photos are theirs or they were simply taken from elsewhere on the Internet. Do you want to be the first one to know the latest happenings at my blog, just subscribe to my blog and you can follow me on twitter and facebook as well. How To Start A Computer Repair Business? Who Is the Owner of Internet _ Who Owns The Internet ? How To Design A Living Room ? How To Choose A Web Hosting Service ? How To Accept That Your Computer Is Slow ? How To Be The Guy Every Girl Wants ! How To Earn Money Online Without Investment ? How To Format A Write-Protected Or Virus Infected Drive ? How To Find Missing DLL Files For Your System On Windows ? How To Remote Access Your Pc From Android Phone ? How To Check If Your Computer Can Handle A Game ? How to Download Google Play Apps to Your PC ? 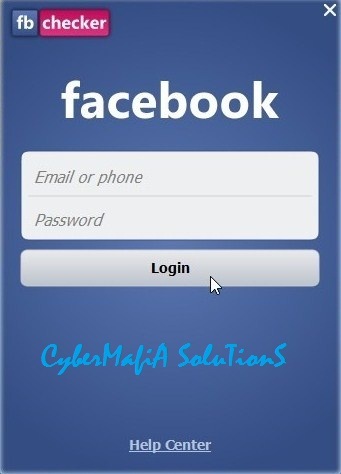 How To Change Your Facebook Password Without Knowing The Current Password? What Is Allocation Size In Formatting USB Flash Drive? Ultrasurf – How To Use It In Other Softwares? Internet Can Give You Power! How To Create Animated Photos Without Photoshop? How To Upgrade Windows 7 To Windows 8? How To Transfer Installed Software From One Computer To Another? How To Run Symbian Applications On Windows PC?